Megan Hunt is returning to Grey Sloan Memorial. 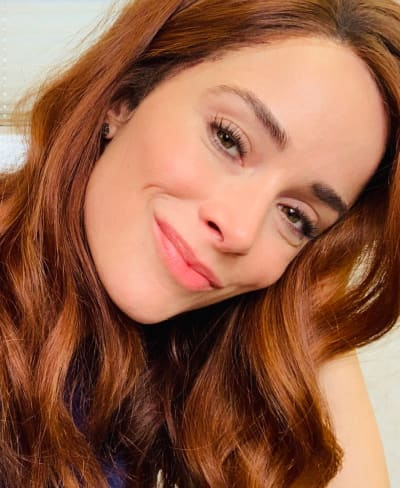 Abigail Spencer has revealed she will be staging a comeback to Grey's Anatomy during the current season as Owen's younger sister. Spencer confirmed the news via Twitter on Tuesday. "Red hair. Super care. Megan Hunt is baaaaack!" the actress captioned the above image of her gearing up for her big comeback. Spencer took over the role of Megan from Bridget Reagan and first appeared in the role at the beginning of Grey's Anatomy Season 14. Megan's return was a short-term one, and she departed Seattle with her former flame Nathan and her son Falchuk in an episode that aired in October 2017. There's no telling what brings Megan back to Seattle, but given that Owen's ex-girlfriend Teddy is pregnant with his baby, her return could be to meet the new addition to the family. TV Line has confirmed Megan will be returning without her fiancé. What's more, Spencer is returning for one installment, and it's slated to air in the spring. While recasts are generally met with little enthusiasm, Spencer was solid in the role of Megan. It did help matters that she shares a big resemblance to Reagan. Spencer recently staged a comeback to Suits for one episode, and she is attached as a series regular to upcoming Hulu drama, Reprisal. Yes, that means viewers will be able to watch Spencer on a more regular basis when that show debuts. The cast also includes Rodrigo Santoro, Mena Massoud, Madison Davenport, Rhys Wakefield, David Dastmalchian, W. Earl Brown and Gilbert Owuor. Grey's Anatomy recently broke a record, becoming the longest-running medical drama on TV. Will you tune in for Spencer's return?